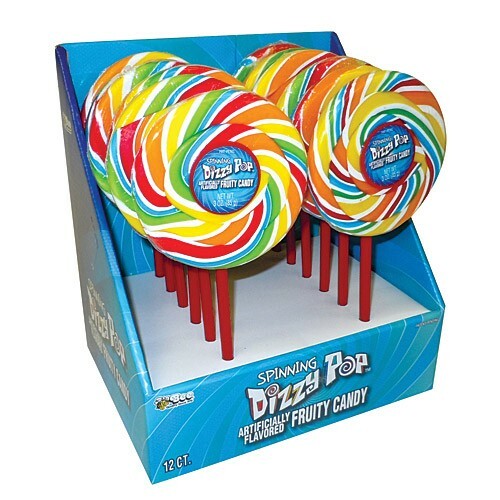 Whirly Pops Dizzy Spinning 3oz. - 12ct. Multi-color swirled spinning lollipop! Hypnotizingly delicious! Perfect for party favors, gift baskets, and table settings. Contains 12 individual lollipops per display box. Sucker Specifications: Net Weight: 3 Ounces Candy Diameter: 4 Inches. Total Length: 7 Inches.